The Old City is one of the best destinations in the country to enjoy golf vacations and getaways. Florida is known for its outstanding courses and the Old City is home to the World Golf Village, World Golf Hall of Fame and the PGA Tour Golf Academy. There is no better place to plan a golf trip. The weather is great year around. Plan your trip and learn more about our special historic inn, the best of the St. Augustine Beach Inns. Just minutes away from our St. Augustine Bed & Breakfast are the King & Bear St. Augustine and Slammer & Squire courses at World Golf Village. 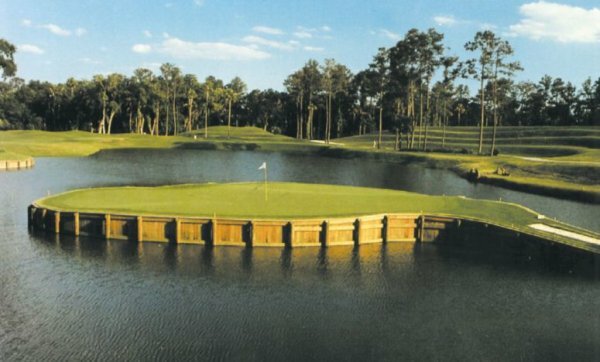 These courses were design collaborations by four World Golf Hall of Fame members. Each course is rated a consistent 4 1/2 stars (out of 5) by Golf Digest and other reputable golf publications. Players that get the chance to hit a few on either of these exceptional courses can enjoy the signature amenities with each course including complimentary range balls, fresh chilled apples on the 1st and 10th tees, cool towels for warm Florida days, and a GPS on every golf cart. The World Golf Village Florida was ranked the 20th best resort in Golf World's 2010 ‘Readers' Choice list. It is routinely listed among the best locations to visit for those that love to hit the links. You can tour the Hall of Fame museum, check out the IMAX World Golf Village St. Augustine, or schedule a private lesson session at the world renowned PGA Tour Golf Academy. There are even golf-themed restaurants at World Golf Village Florida near our St. Augustine Bed and Breakfast. 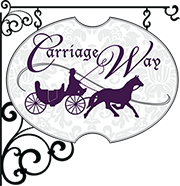 Carriage Way St. Augustine Bed & Breakfast is a wonderful St. Augustine Inn that offers exceptional lodging in our stately rooms. Check out Golf Vacation Packages and plan to stay just minutes away from all of the St. Augustine Golf attractions nearby. Carriage Way offers convenient St. Augustine Beach Inns rooms.